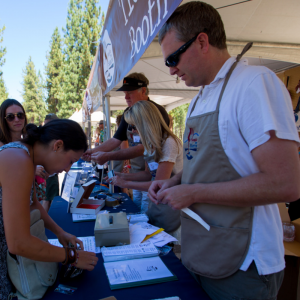 All Sample the Sierra volunteers attend the festival for free! Job Description: Set-up: Responsible for making sure all deliveries are placed in the proper location, making sure vendor booths are ready for set up, making sure ticket booths are set up, and making sure festival signage is in the correct locations. Job Description: Breakdown down: Responsible for packing up supplies, taking down signs, and helping to make sure the park is clean and ready to re-open for the public. Job Description: Responsible for checking I.D.s and collecting payment. 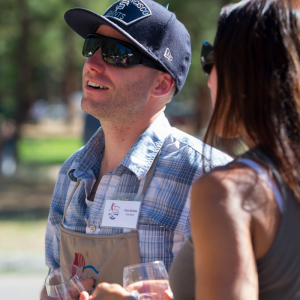 Job Description: Responsible for securing wristbands on attendees and handing them their wine glass and festival information. Job Description: Responsible for asking survey questions to attendees and collecting 25 completed surveys. Job Description: Assisting guests from the parking lot areas to the festival grounds. 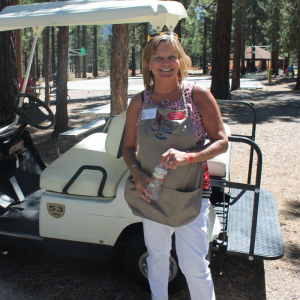 Volunteers may be required to drive guests in golf carts across the road.